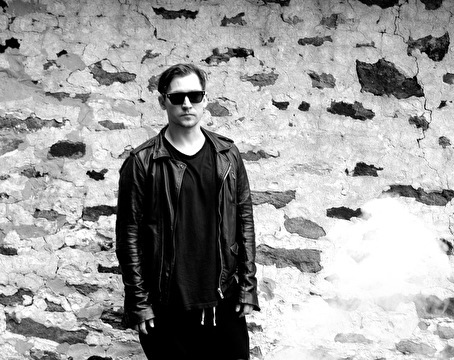 Vatican Shadow is the Techno outfit from multi-media artist Dominick Fernow. Melodic loops and martial jagged rhythms juxtapose a sinister and seductive ambience. Vatican Shadow began in 2010, with concrete percussion, luscious synths, and metallic drums created by separating stems onto cassettes, which were then re-layered and collaged live. Weaving the cassettes into each other like one would use turntables, the soaring strings and mysterious broken rhythms were first heard on the 100-copy, cassette-only Byzantine Private CIA. Ten more of these limited releases would follow between 2011 and 2012 on Hospital Productions. The first of these tapes pressed onto wax was Kneel Before Religious Icons, quickly followed by the Iraqi Praetorian Guard 12", which featured a masterful remix by Regis. Both received a rapturous reception, with critics and peers lauding Fernow's attention to both death and the dance floor. After performing in Los Angeles with an uncompromising 6-tape deck setup and a debut European live show at Berghain, Vatican Shadow came into its own stepping outside the traditions of Techno while functioning within it. In the flesh Vatican Shadow brings a physicality and even celebratory energy rarely seen in Techno offsetting the hypnotic ambient melodies of his tracks to a thundering drum assault – a true expression of the fear and fearlessness that fuels the music. Dominick Fernow, while more recently regarded for his explorations of dance music, is of course better known for his iconic noise project, Prurient. ('Noise' being defined by Fernow as 'the freedom to explore personal obsession outside of audience and genre.") Founded in 1997 simultaneously with his own label Hospital Productions, Prurient collaged and assembled diverse and unpredictable sadomasochistic feedback landscapes with signature vocals ranging from whispers to screams over literally hundreds of underground cassettes and limited vinyl records that aroused a cult collector following. After taking high frequencies and vocals to a maximum conclusion across shows between Europe and the USA, Prurient arrived at a radical mix of Drone, Noise, Industrial, computer music, Punk, and EBM, beginning with Pleasure Ground and culminating in what has been arguably referred to as his definitive statement, Frozen Niagara Falls, released on triple LP in 2015 to critical acclaim. The Hospital Productions label manifested itself as an infamous brick and mortar store, into which one had to climb through a trap door down a ladder in Manhattan's East Village. Focussing on releases only procured from artists and labels directly, Hospital offered an alternative to the regular rotation of weekly record distribution acting as a resource for the most obscure independent music culture from 2006-2011. Over time it has grown from focussing on the local underground scenes of New York, across many genres to become the home for the debut LP by Silent Servant, a vinyl series by Alessandro Cortini, and a collaborative Vatican Shadow full-length with Function. Through over 500 releases ranging from the apocalyptic to the sublime, Hospital Productions has built a catalog and cult following bordering on downright fetishism that expresses and supports a global vision with singular curation. Through 20 years of dedication Fernow is one of the few artists who has managed to develop and bring together the many disparate and seemingly contradictory factions of electronic music subculture. Vatican Shadow's ''Remember Your Black Day'' is ongetwijfeld één van de meest bizarre albums die dit jaar is uitgebracht. Een vreemd hoesje, rare tracktitels en een absurde combinatie van rustgevende synths met de meest duistere techno denkbaar. Een aparte beleving is in ieder geval gegarandeerd.